We take it for granted that when we turn on the tap, we’ll have instant access to clean, clear water. Though we may have a sense that it comes from the Poudre river, the details might be a bit more murky. 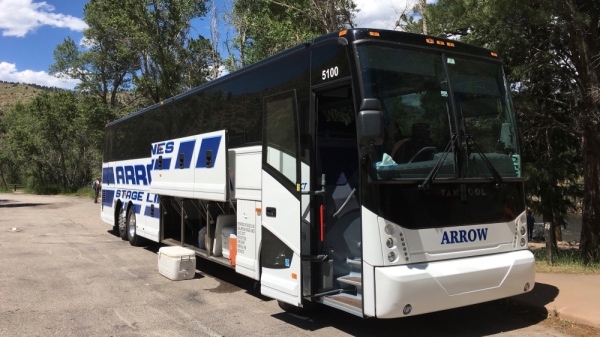 So in order to better educate local residents about where our water comes from, how it’s treated, and how we can use it wisely, the City of Fort Collins offers a “Watershed Bus Tour” three times a year. 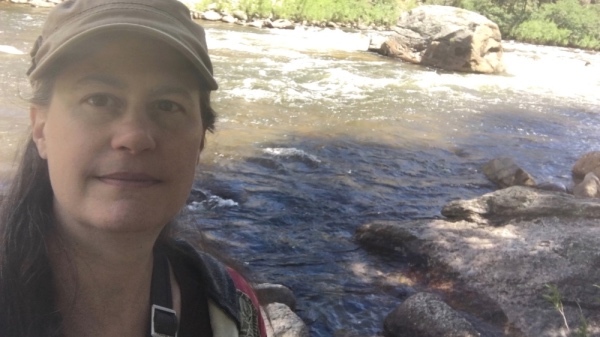 I had the privilege of going on the tour this week and want to share a bit of what I learned — especially when it comes to the history of the Poudre river and its use in our city. The bus was air conditioned and comfortable. Before the town of Fort Collins had a municipal water system, there was the water wagon. It would be filled up at the river, then it would be hauled by horses through town and people could purchase a bucket’s worth or a barrel’s worth. In 1882, residents voted to install a water works plant. But, as in all things it seems, no one could agree on how or where it should be done. On September 15, 1882, fire broke out in town. The bucket brigade valiantly fought the fire, but buildings were lost and the need for a water works plant became even more urgent. Another vote was held, again the residents were in favor of installing a water system, and with the fire still fresh in their minds, this time around agreement was reached on how to proceed. 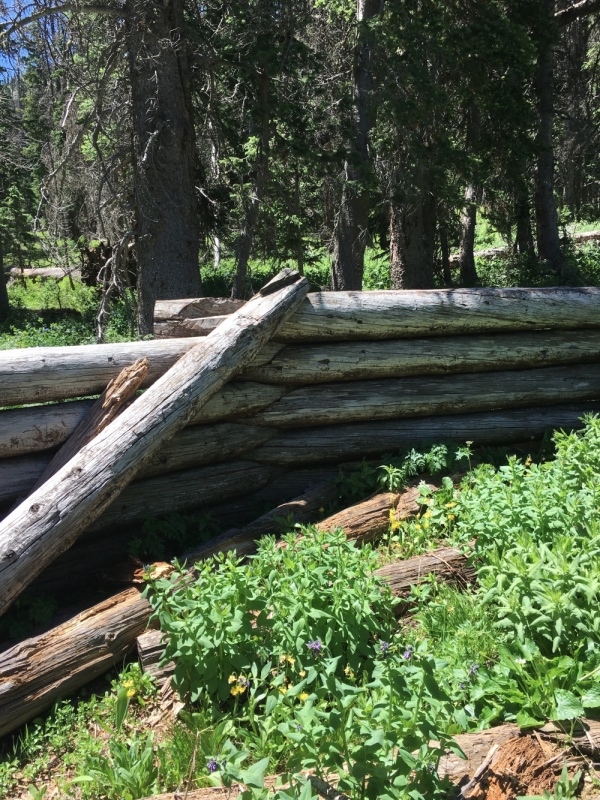 If you’d like to learn more about the original water works, which are still standing along Overland Trail Road just northwest of the city, I’d recommend either visiting the Water Works (Free tours are given on the second Saturday of each month, May through October, from 10am – 3pm.) or picking up a copy of Wayne Sundberg’s book entitled Fort Collins’ First Water Works. Learning about the history of water rights, water storage, and water treatment in Fort Collins. Fort Collins’ second water works, at Gateway Natural Area, was our first stop on the tour. (We did drive by the first water works, but didn’t pull over.) There we had a presentation, then had some time to walk around and see the river and the old water works. Old water works building at Gateway Natural Area. I walked all around the old buildings. (For anyone that’s been reading this blog for any length of time, you probably know how much I love old buildings.) Apparently if I had continued just a bit further I would have been able to see where the water from the Poudre river is diverted for the city’s use. Though it’s no longer treated here, it is diverted here, which is key given the location. 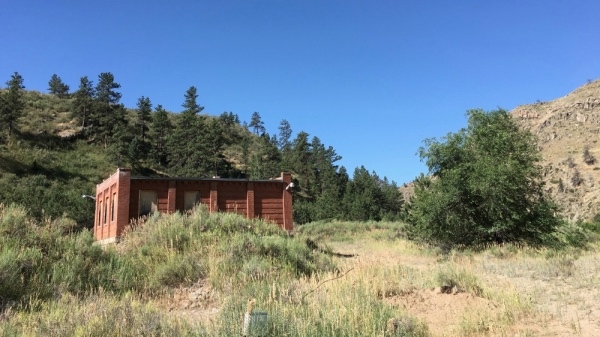 Gateway Natural Area is located at the confluence of the Poudre river and the North Fork of the Poudre River. Water is diverted towards the city just before that confluence. Because of the type of rock/land that the North Fork flows through, it has a greater level of particles in the water. (In other words, it’s kinda muddy.) So if we were to pull water from the North Fork, we’d be spending more money to treat the water and remove those particles. Instead, that water joins the main branch of the Poudre after we’ve pulled our drinking water out and then it has some time to filter as it travels down the canyon before Greeley pulls their water out. The Poudre River about to join the North Fork. The water treatment plant at Gateway Natural Area was built in 1905 and was used until 1987. Another water treatment plant was built on Laporte Avenue in 1967, and in 1987 that became the only plant still in use. or significance of the site. After Gateway, we traveled on up to Cameron Pass. 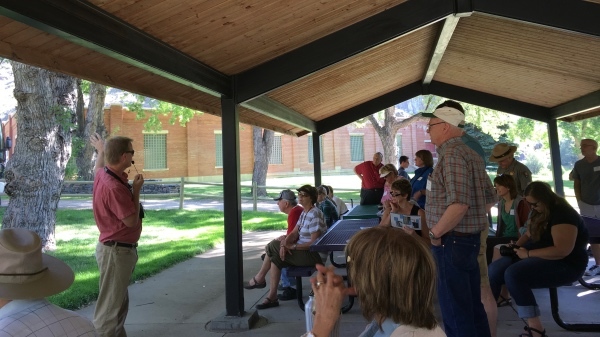 This was the longest time we spent on the bus, so our tour guides used it to talk about the history of conservation efforts in Fort Collins and the effects that that has had upon our water usage. Despite the fact that Fort Collins continues to grow, our per capita water usage has been steadily dropping thanks to these efforts. That’s a huge bonus to residents because the more we can conserve water, the longer our current water treatment system will be sufficient for the city’s needs and we won’t have to spend tax money to expand the system. 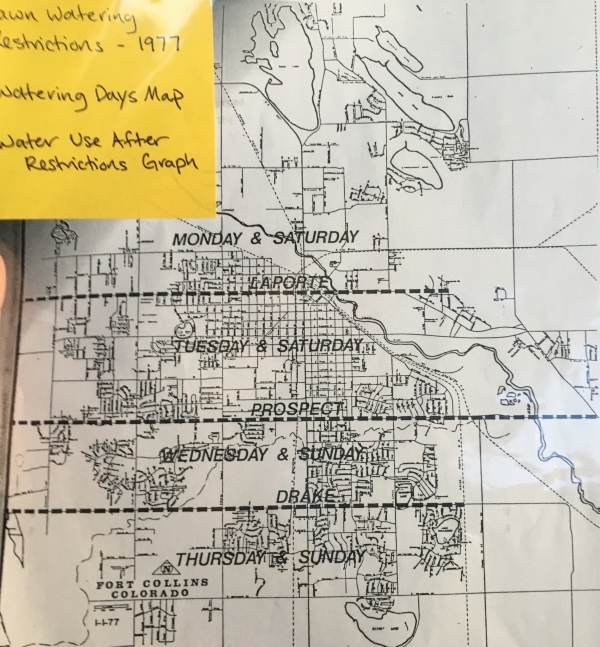 This map of the City’s water restrictions in 1977 gives a sense of how much we’ve grown since that time. Notes that Harmony is just south of what’s shown here. An old outdoor chapel. Behind where I was standing the fence poles were still in place, although they were in various states of disrepair and there were no pickets between posts. Though I’ve driven through this area before, I’d never stopped and looked around. 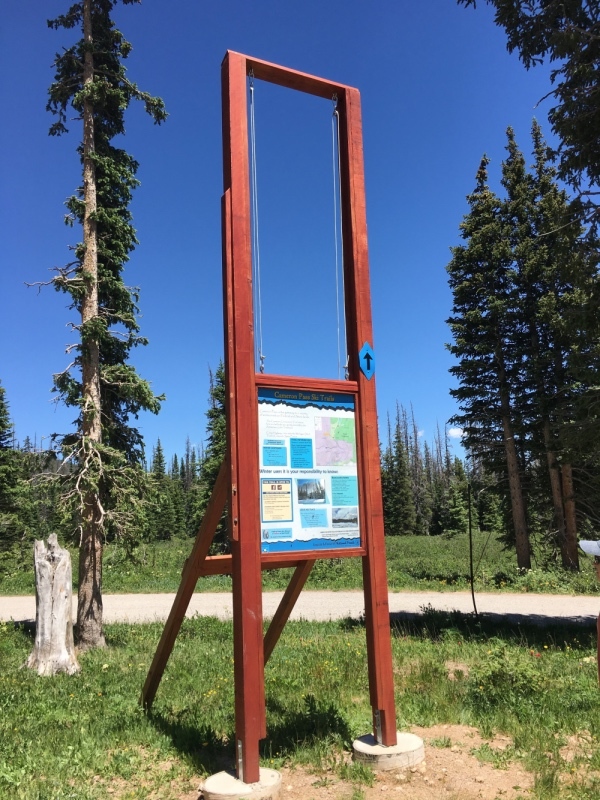 I was delighted when I saw a sign that could be cranked up to match the height of the snow, for when skiers come through the area. Adjustable sign for those snowy days. The Michigan Ditch was just across from this second stop, and usually the tour included walking around there. But because of the work that’s being done (They’re boring a huge tunnel for the water to travel through.) the tour had to be adjusted a bit from the norm. This was the apex of our tour. From this point we headed back down the canyon until we reached the Century Park Day Use Area. As we pulled into the small parking lot, you could see a look in the eyes of everyone that was there before us that cried out, “Oh no! Tourists!” I think several of them skedaddled before we had disembarked. Here we broke into two groups and learned about the water quality inspection process, which sounds really dull but was actually quite interesting. In fact, I think this talk brought up more questions than any of the others. Yours truly along the river. Again we had some time to enjoy the river, then we piled back in the bus and headed down to the Munroe Diversion Structure. We didn’t get off the bus at that stop, but we did learn more about agricultural water uses, irrigation canals, and water districts. Horsetooth Reservoir was our last stop. Here we focused on all of the various programs that the City uses to help people conserve water. Not only does it mean that residents will save money on water bills, but the City (and taxpayers) will save money because the more efficiently we’re able to use water, the longer we can delay expanding our water treatment plant. 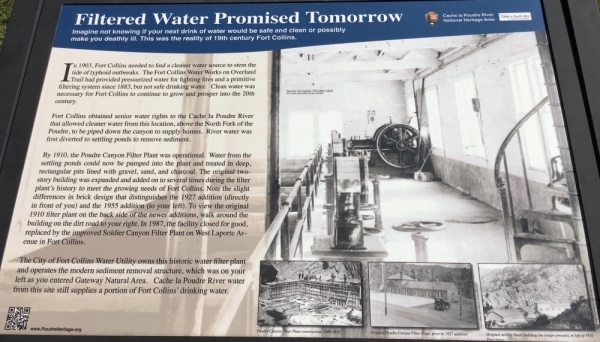 One tidbit of information that I learned on this tour that really blew me away was that until 2003, there were still people in the city of Fort Collins that were paying a flat rate for water. So it didn’t matter how much or how little they used, they just had to pay the flat rate. But by 2003, meters had been installed in all residences and people had to start paying based on how much water they used. Our tour guides said that there was a 20% drop in water usage once that happened. Whether it’s because people suddenly realized how much water they were using, or because they had to pay for how much they used, isn’t clear. But between those two things, something sure made a huge difference in water usage! Wow! 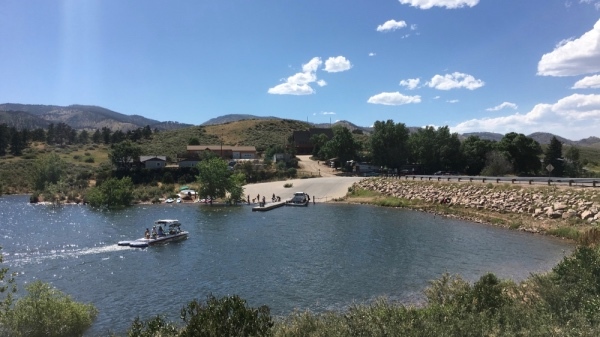 I haven’t told you yet how Horsetooth Reservoir fits into the picture of how we get our water. That’s because the water in Horsetooth doesn’t come from the Poudre river. The City’s water comes from two primary sources. 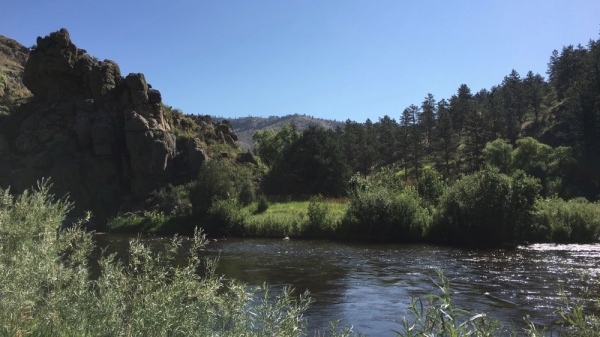 We get about 50% from the Poudre, but the other 50% comes through the Colorado – Big Thompson Project. I’ll be talking more about that in my next post. In the meantime, remember that our local water is there to be used, but not to be wasted. We live in an arid climate where every drop is precious.